KIWI provides quick dry rug cleaning low moisture cleaning service for all of your rugs and carpets. The quality service is backed by our KIWI clean 30 days guarantee. Whether you have high-cost oriental rugs or standard plush, KIWI professionals treat every rug with the greatest of care. Our special bonnets, in conjunction with our balanced citrus-fresh quick dry rug cleaners leave all your rugs looking soft and new with quick drying time. Since we use little water and no heat, there is no sogginess, mildew, or dye migration in any carpet. KIWI quick dry rug cleaning comes with a 30-day 100% clean guarantee and we will re-clean your rugs’s at no charge if you are not satisfied with the result. KIWI’s rug cleaners work hard to remove every bit of soil and stain from your rug without compromising the integrity or value of your precious rugs. Some stains require special care and cleaners and KIWI provides specialized spot cleaning in addition to generalized quick Dry Rug Cleaning. During our quick dry rug cleaning process we perform some spot treatments at no additional cost, but some larger stains require special care. 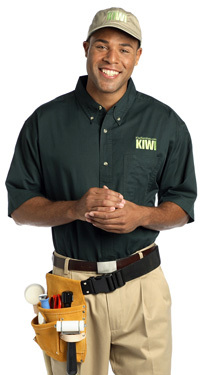 In this case, KIWI can inspect areas needing special attention and inform you of recommended cleaning or repairs. For your convenience, KIWI provides all of these services so your carpet will remain in good hands. Our qualified professionals are dedicated to providing you with the best possible quick dry carpet and rug cleaning and we take pride in satisfying all our customers’ needs. We use all our experience and knowledge to bring you the best in home carpet care. We provide a variety of services associated with cleaning and repairing rugs and carpets, giving you the opportunity to employ all the services of a trusted experience company. This means that your floors will not only be in the hands of professionals, but that our teams will see your carpets and rugs through from start to finish. Trust the people with the services you need and quality you can trust. Give us a call. We look forward to providing you with the best possible carpet cleaning services available. We love the look of great floors! We want you to love your floors as much as we do, so give KIWI a call now to see what our service professionals can do for you!